Step 1: Create a post with your #whyisponsor story on either your Facebook, Instagram or Twitter account (or all of them!) and remember to add in the hashtag #whyisponsor. Step 2: Tag your friends and get them to share their #whyisponsor story and tag World Vision Singapore too! Step 3: Post it and look out for the interesting stories coming your way! Remember to protect your child by keeping the Child ID and Surname private! If you'd like to join our family of Child Sponsors, to start your sponsorship journey! One more day to Friday! Bring some joy into someone's life today! 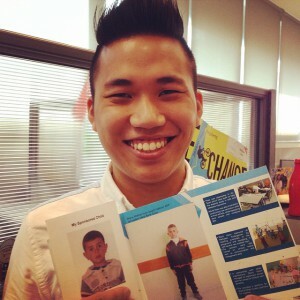 Recently I sponsored a kid on #worldvision and they just sent me the details of the kid! I picked the most grumpy looking from the lot! His face made my day! And I want to bless his days and more to come too! For those who has a little more $$ can use it to bless these kids! Happy Thursday! Set in an isolated landscape, the visit to Yaya Gulale plays home silent break from urban life. At 2500 meters above sea level, the village has no phone, no wifi, no work to distract me. I played catching with the village children, meeting my sponsored daughter Meron and sponsored grandson Habtamu. I was speechless when I saw them. They are real! Language barrier didn't dampen our excitement. The joy on their faces - priceless. Photos: One of the 2 flies which keep sticking on Habtamu's face flew to my cheek | Habtamu's innocent smile and happiness when he received the soccer ball sponsored by my boss Marc Pelet | Wish both of you will grown up to become useful people. I'm glad that my contribution has made a difference in their lives as well as for their family. 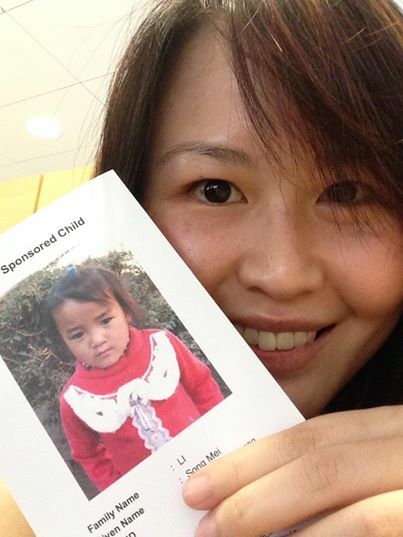 Meet Li Song Mei, my World Vision sponsored child from China! As an only child, I've always wanted a little sister to play with. So who better to provide for right? 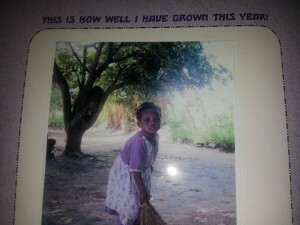 My little monthly contribution opens up a wealth of opportunities for her: education, food, good health and more. When she grows up, she and her parents can get out of poverty. And that's #whyisponsor.Join me and share your stories too! My sponsored child for maybe 12 years. Great to see him grow up, comparing 2006 and 2014 pictures. 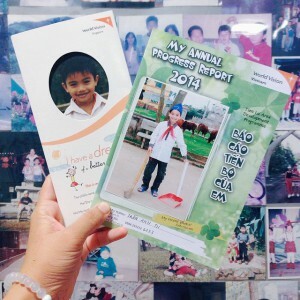 The community he's in has progressed so much since @worldvisionsg started supporting it. Child sponsorship works in addressing poverty and that's #whyisponsor. #happychildrensday Jayboy! 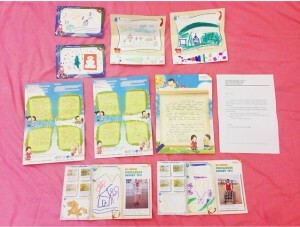 Just some of my World Vision sponsored children and the latest letter I received from Hebron. I am asked ‪#‎whyisponsor‬ and I can only say I don't have answers other than I do what I think is right and good. I help in ways that I can. I have to say that my trip last year to Zambia to visit Fatuma and Cephas have been a real eye opener. What little I send of S$45/mth per child to each area is pooled together with other sponsors to benefit a community, to provide them with basic necessities and education for the children. I am proud and blessed to be able to help. Every little counts is so apt. As some of you know, I am quite involved with World Vision Singapore and their initiatives in ensuring every child has an opportunity in living life in every fullness. 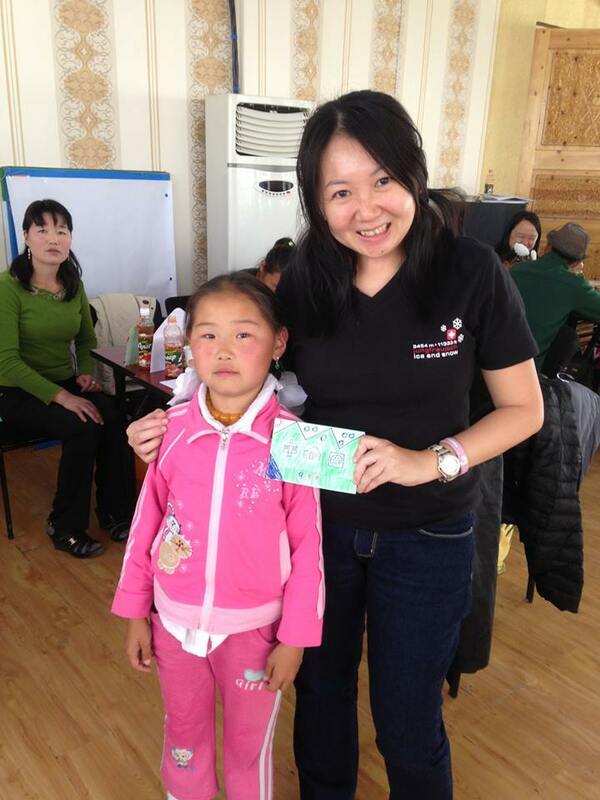 After I had my own children, I wanted to bless other children too and that is ‪#‎whyisponsor‬ 2 children in Mongolia, a girl and a boy with ages similar to my own children. 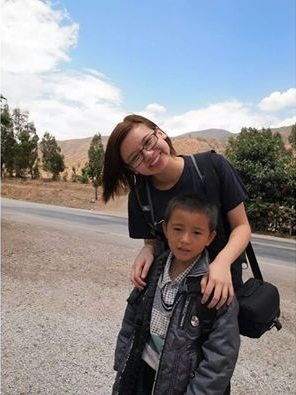 Last year, I had the opportunity to visit my 2 sponsored children to interact with them, and it amazed me to see how they were contented with whatever they had; and to see how my monthly contributions were used to help the community.This year, I joined another group of sponsors to Vietnam and after seeing the needs of the children and community there,I was moved to sponsor another child there and look forward to be able to visit her in the near future too! How we usually spend our weekend allowance? A gourmet burger. 2 movie tickets. 3 tequila shots. Our weekend budget can provide children's access to basic needs of life. Being a child sponsor not only give us an opportunity to share, but also an opportunity to be inspired by your own sponsor child. You will be amazed by his/her determination, faith and dreams. Child sponsorship is a great channel for nation (or make it global) building, by helping one child at a time. A way of extending God's love. So, ‪#‎whyisponsor‬ ? Because, I want to be a part of a selfless world. If only each of us can have at least 1 sponsor child, I think the world is a better and happier place. I figured that I need to put it into action if I believe what I am doing. So I sponsored Sopheaktra! Child Sponsorship not only gives Sopheaktra education but many others such as health & nutrition as well. What motivated me even more is not just the monthly givings towards Sopheaktra's community. It is about a relationship! This is ‪#‎whyisponsor‬. 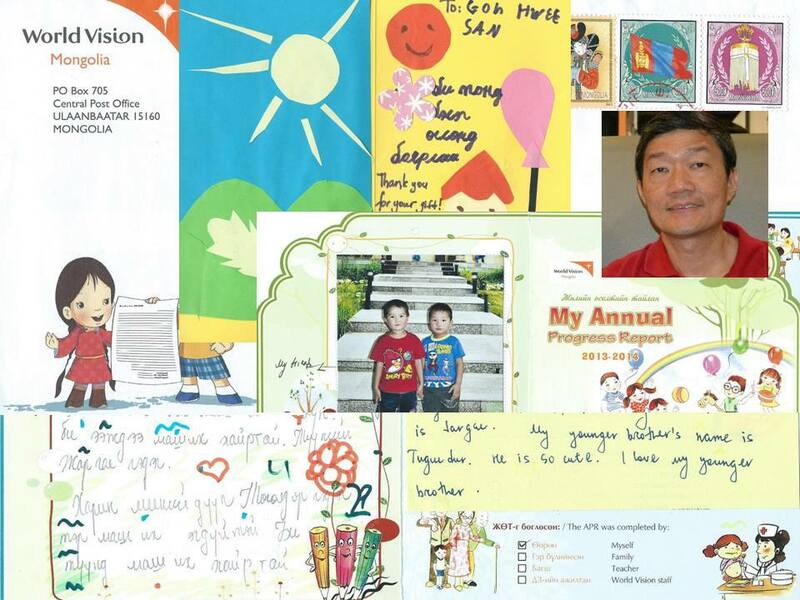 My husband and I have been sponsoring children through World Vision for more than a decade now, and have since had 4 ‘children’ – 2 each from Cambodia and Mongolia. Our most recent sponsored child is Batzorig, a l0 year old boy from Mongolia with ruddy rosy cheeks. 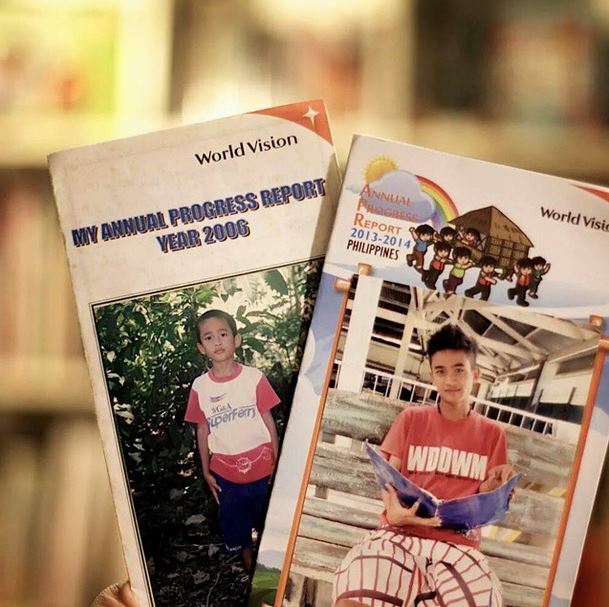 Over the last 3 years since we started corresponding, we have seen him blossom by leaps and bounds and made progress in school, even as his family’s situation improve. 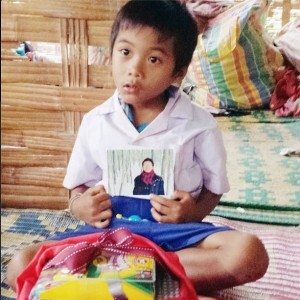 We were also privileged enough to have been able to visit another of our little boys, Sopheak in Cambodia some years back, and were extremely touched by how thankful and humble the entire community were to be part of this World Vision programme, and impressed by the dedication of the World Vision staff onsite.Why do we sponsor? We sponsor for both altruistic and personal reasons – knowing that the little bit of additional funds we can spare are being spent wisely on the children’s education, and on their communities’ food, shelter, clothing and medical care, and to help create a better, brighter future for each Area Development Programme. 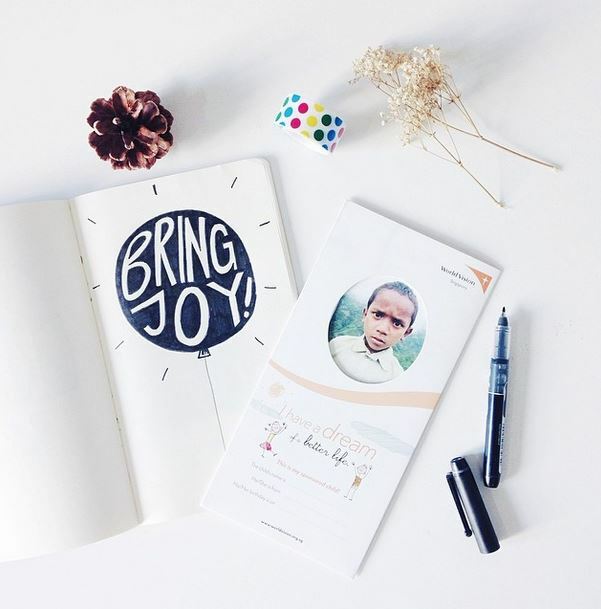 We sponsor to connect with children across the globe through letters, little gifts and photos, and for our own contentment and joy in watching them grow and benefit from having access to greater opportunities in life. We sponsor to hopefully make a difference to the children’s life – albeit one person and a time - and perhaps one day, they would be able to pass this little gift on and likewise support other disadvantaged children of their own.With just slightly more than US$1 a day – or a fraction of the cost of a Starbucks latte – sponsorship can change someone’s life for the better. Hopefully, this would inspire others to do the same. 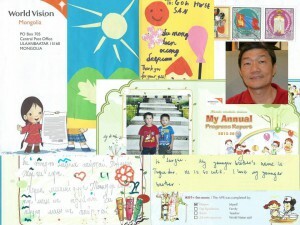 I love kids so when I chanced upon the opportunity to sponsor a child through World Vision Singapore, I was psyched. Giving $1.50 a day, which is equivalent to a cup of teh ping, and having the possibility of making a difference in someone else's life makes it all very doable. I must confess I haven't been a good sponsor, having written to my kiddo only once and I've got stickers and an Xmas card from last yr stuck in my drawer, waiting to be mailed out. 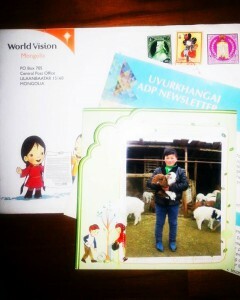 But World Vision has been great in keeping me updated about my kid, with periodical reports (yay her grades are improving! ). Sokny, sorry for the radio silence- promise you'll hear from me.. (in a year's time). And I hope to visit... (some day). Prompted by Chng Eu Lee & Shu-En Fok I decided to do a "stock-take" of the children I've sponsored over the last 14 years.The first was from an area in Thailand that, under World Vision's help, became self-sufficient enough for World Vision to step out.And I had another boy, Borin, from Cambodia, who grew up and became "too old" for the World Vision child sponsorship. I take on a new child each time. ‪#‎whyisponsor‬ because the little that I give gets pooled into a bigger piggy bank to help not just 1 child, but a whole village. And it's not a hand-out, but a project to systematically improve lives. 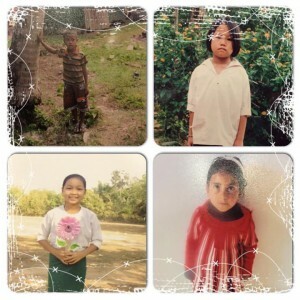 At the moment, I sponsor 3 kids from Cambodia, Myanmar and Israel. Visited 1st 2 countries, love them, and wanted to do something for them. Israel - as a Christian, I believe I should do my wee-bit for the country. 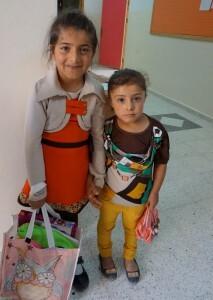 World Vision is working in so many other parts of the world. Surely one can find a community that tugs at his/her heartstrings? I first started sponsoring Thanagit when I was volunteering for @worldvisionsg's Tree of Life back in end-2009. I had never worked in my life at that point, so my parents had to help me with he finances at first. He was two years old when I started sponsoring, and now he is seven. 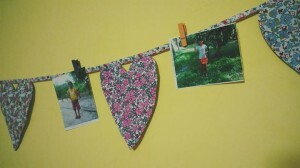 This is him holding a photo of me that the kind staff of WV Singapore brought on a trip last year. 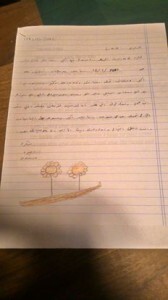 I've watched him grow from a distance, through his drawings, and as he got older, letters. He is really adorable-- after I told him I had served in the army, he said his ambition was to be a soldier. Though I may not ever know just how it feels like to be a sponsored child, I truly hope that he will continue to dream big and experience the joys of life in all its fullness. Very grateful to all the children I have known from Thailand, Mongolia and Nepal-- for they continue to enrich my life. This is #whyisponsor and for the cost of a good meal or two each month, you could too. Was very touched to receive this in the mail today. This is my sponsored child Agness. I remember signing up enthusiastically after having 2 sons and deciding that I would never have a daughter. She is younger than my middle son and has the same name as my good friend Agnes.I had wanted to send her my personalised teddy bear but later withdrew from the programme because of online rumours that the programme is fake. My sister joined#WorldVisionSg and because I believe in the work she does, I joined them again.This time, I am definitely sending her my bear and my cd too, since I found out that she also loves to sing. It is such a joy to see children grow. She can even draw me a picture now!Thanks Justina for tagging me. If you also have a sponsored child, pls share your story with the tag #whyisponsor. I am thankful to #worldvisionsingapore for connecting my beautiful #sponsoredchild with me. With just $45/mth, a #child receives #education, #healthydiets, #clearwater and#healthcare. Instead of spending on my wants, I choose to use it on her needs. And the regular #sweet #letters and #photos from her, updating me of her progress and inviting me to visit her for horse riding in Mongolia. Seeing her grow melts my heart. I got to know more about child sponsoring through a friend. I couldn't be happier that I am now making a difference in 2 precious gems' lives! By contributing $45/month for each child, they are ensured food security, water and sanitation, health and nutrition, education and economic development. I always believe in "a little makes a lot of difference", and I trust that we can make this big difference if we work together. :muscle: I've got my entire family to sponsor one child each too, as we've been taught since young to "give more than we receive". Spread the word, spread the love! :two_hearts: Looking forward to meeting these little ones in Mongolia one day! 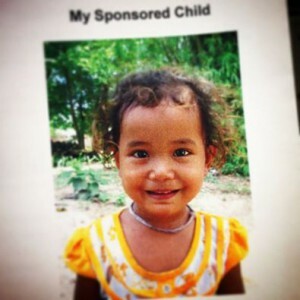 This is Anh Tu, my sponsored child from Vietnam. I've never met him before, but I've seen him grow from a shy looking 7 year old child to a playful 11 year old pre-teen. It's my fifth year as a sponsor, and people ask why I do what I do. My small contributions to his community represents my faith in my generation. No child of my generation should be left behind. No child of my generation should be denied access to education and basic rights as a human. 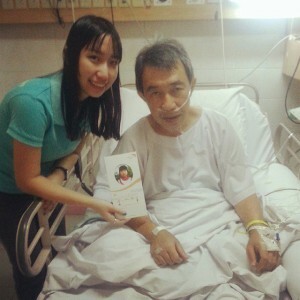 I want to celebrate the successes of my generation with children like Anh Tu as members. Because, how can it be a party with an abundance of food but plenty of empty chairs? Here's me and my dad with (a photo of) our sponsored child from Yongsheng, China. 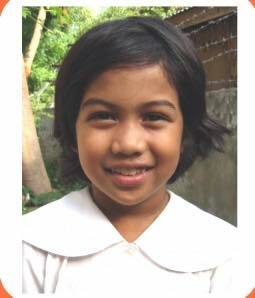 Since I start working in World Vision Singapore, I have decided to sponsor a child. It was more about from which country and when should I start. 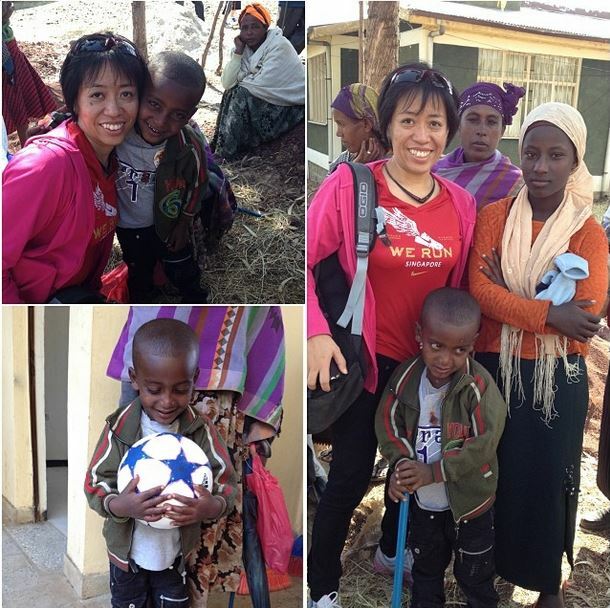 Although at first I was contemplating since I am still young, do not have a lot of money yet, my family supported me so I take Yu Ran as our sponsored child. My dad always said to me, "We have to share. Even though we may not be rich, but if we have something to give, we better use it to help other person who may need it more than us." Yes, papi, you are right. While we can still live well in this Earth, why don't we be angels and share some happiness to others?